Groups (10 and over) qualify for 10% discount on our normal rates which are £8 adults, £7 concession. Pre-booked groups of over 10 may be accommodated outwith normal opening times. The Castle is open each year from April until the end of October, 5 days per week and 7 days during July and August. 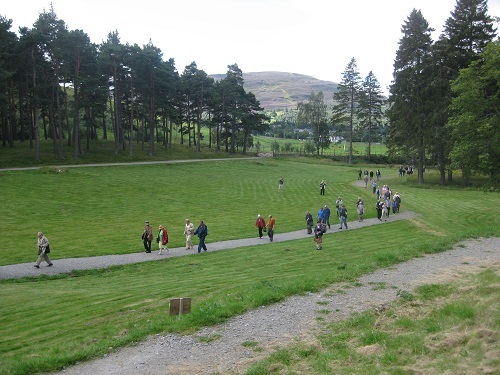 Guided tours can be organised for groups of up to around 40 on any day from April to October. Greater numbers can be accommodated but the layout of the castle means that visitors may not be guided round the Castle, but room cards and guides will be available on each floor. Please be aware that all rooms are accessed by a steep spiral staircase with a rope handrail. 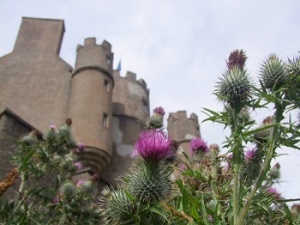 Braemar Castle is a compact tower house with a fascinating history dating back almost 400 years and is the only castle in Scotland to be run by the community. Local volunteers, with extensive knowledge of the area, welcome visitors and share stories as they guide them round the castle. 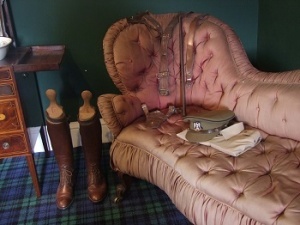 12 furnished rooms are on show reflecting the use of the castle over the centuries. 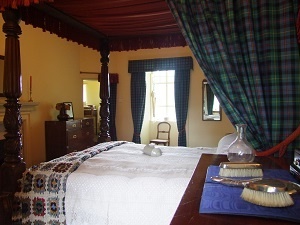 Originally built as a Highland Hunting Lodge for the Earl of Mar in 1628, it has strong Jacobite connections and was used by the Hanoverian government after Culloden to garrison troops to suppress wayward Highlanders. 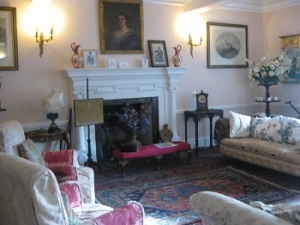 For the past 200 years it has been family home to the Chief of Clan Farquharson. Take a peek in the pit, the bleak windowless prison for sheep and cattle stealers, visit the drawing room where Queen Victoria took tea and marvel at the 18th century graffiti left by the soldiers. Take away a memory in Farquharson tartan from our small shop. Visitors with a physical disability are welcome to bring their car up to the castle and to park outside. The courtyard and exhibition in the cabin are fully accessible to those using wheelchairs, although there is a very small step into the courtyard which may be unsuitable for electric wheelchairs. Inside the castle, the ground floor (the eighteenth century kitchen, the laird's pit and the gift shop) is accessed by going down two steps. Access to the first floor is by either the spiral staircase or the servants' stairs, which has a solid bannister. 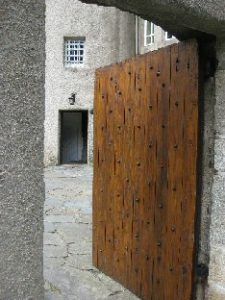 Any visitors who feel that they may not be able to take a tour of the whole castle are very welcome to visit the first floor free of charge and a guide may be available to give a brief overview of the castle's history in those two rooms. We want everyone to be able to enjoy as much of this historic building as possible. Audio tours are available, and headphones can be provided, or visitors are welcome to use their own. Written information about the castle is available in large print.